Jowaé Hydrating Water Mist 200ml is a care water with antioxidant Lumiphenols and Sakura blossom water. This care water is suitable for all skins types, even the most sensitives. It moisturizes, r.. Description: Sensitive Skin. 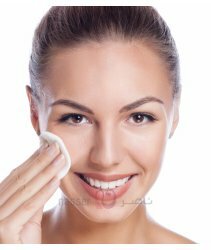 Physiological Foaming Water gently cleanses makeup from sensitive skin. Physiological Formulation Charter: - Cleansing agents selected for optimal tolerance, high m.. DESCRIPTION : Micellar waters are no rinse cleansers that take their name from micelles, the microscopic cleansing agents that are used in their formulas. These micelles have a lipophilic core tha.. Description: Sensitive skin. Micellar Physiological Solution gently removes makeup from sensitive skin. Non-comedogenic. Physiological Formulation Charter: - cleansing agents selected for optimal.. Description: Skin that is sensitive and/or irritated by outside factors (sun, dermatological treatments, etc.). The unique combination of minerals and trace elements, such as Selenium, give La Ro.. The Glycolic Fix Liquid Glow Daily 2% has been formulated with 2% pure glycolic acid to retexture skin, minimise the appearance of pores + remove dead skin cells, and hyaluronic acid to hydrate + rej..
High performance liquid exfoliator with 6% pure Glycolic Acid for a brighter complexion. A powerhouse blend of exfoliating acids works to deeply cleanse and helps unclog pores for a more refined..
Target blemishes and reveal radiant skin with the new Teen Skin Salicylic Acid Tonic; a fast-acting solution which exfoliates and unclogs pores, clears blackheads and thoroughly cleanses congested sk.. DESCRIPTION : Our Soothing Facial Toner is a perfect blend of ingredients for keeping your skin toned and refreshed. Perfect for even sensitive skin. Our special blend of Simple skin toning ..